Are you looking for a new job as Sales Manager and need to write an attractive and inviting job application cover letter? 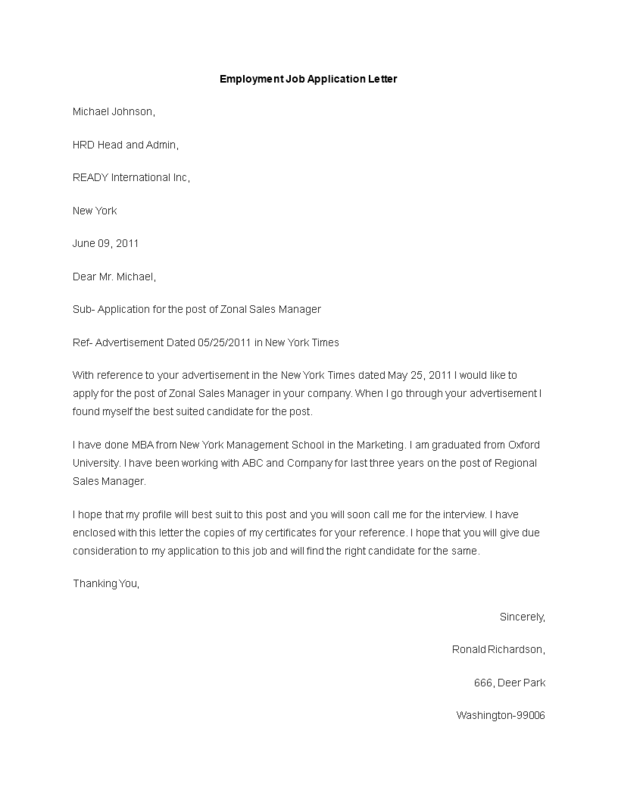 This free Employment Job Application letter has ways to grab your readers’ attention. Every other essential detail in this application letter is covered. After downloading and filling in the blanks, you can customize every detail and appearance of your letter and finish in minutes. We provide a free Employment Job Application template that will professionalize your way of communication. Using our templates guarantees you will save time, cost and efforts! Download this Sales Manager Employment Job Application template now and get your polished letter that will impress your readers in minutes!